or as a flip-book style online reader. (Print: ISSN 0032-0919, Electronic: ISSN 1537-9752) is an informal communication published three times a year, with information on upcoming meetings, courses, field trips, news of colleagues, new books, and professional opportunities. It provides a means of advertising items or materials wanted. It also serves as a forum for circulating BSA committee reports, for distributing innovative teaching approaches and methods, and for discussing issues of concern to Society members such as environmental policy and educational funding. Submit your articles for peer review here. Books for review are available to members of the Botanical Society of America. If you are a BSA member and would like to review a book or books for PSB, the easiest way to do so is to: highlight and copy the book details, click on the Reviewer Requested link to the right of the book's details and paste the information into the email form that pops up. Remember to include your name, University/Department, all of your mailing details and the date by which the book will be reviewed. Book reviews should not exceed 800-1000 words. 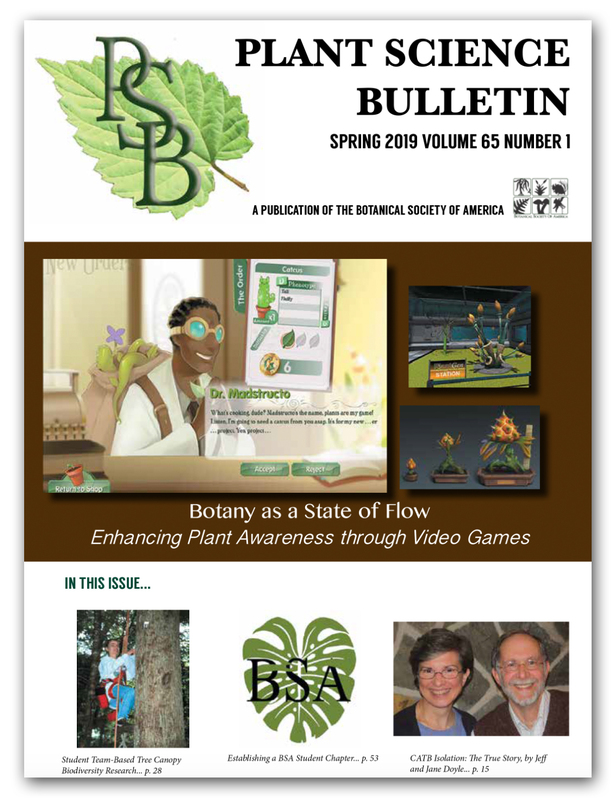 Alternatively, e-mail Mackenzie Taylor, the editor-in-chief, at psb@botany.org, including the details noted above, as soon as you notice the book of interest in this list, because they go quickly!